Our 25m swimming pool with beach area, flume and wave machine. 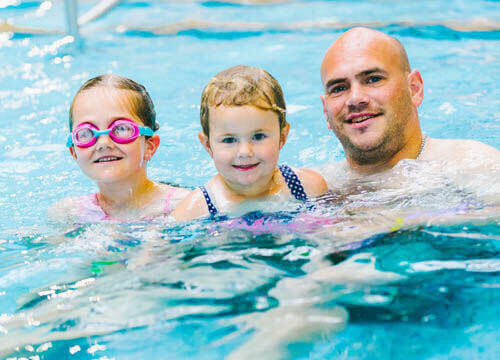 Offering lane swimming, early morning swimming, aqua fit classes, children's swimming lessons and Friday night splashdance pool disco. Photography is not permitted in or around our pool during any public session. As a starting point, the ratio of parent supervision for all children under eight should be 1:2. 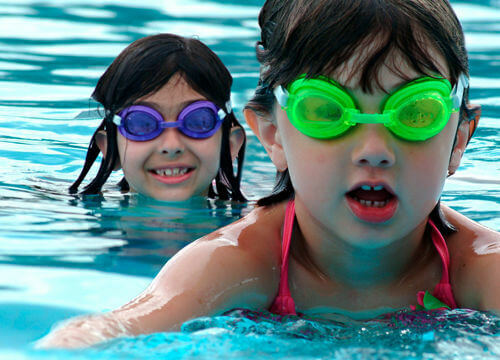 This ratio could be increased, subject to the pool and its features (teaching pool, shallow water pools, use of approved swimming aids etc. ), but should never be more than 1:3. Circumstances (the presence of flumes, wave machines, inflatables, water slides, fast river rides etc.) may require a 1:1 ratio. leisure pool - with wave machine and/or other challenging features Considerations to the pool design, features, depth & lifeguards etc. It may be necessary to increase the minimum age or to introduce height restrictions.